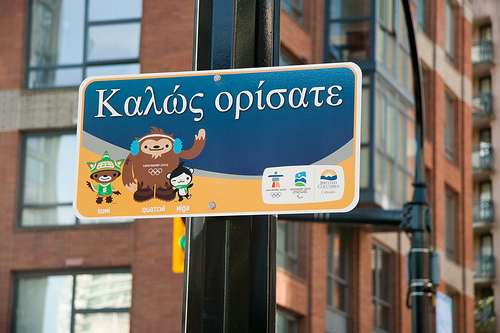 a renamed version of official Games mascot Quatchi that a coalition of social justice groups has unveiled to bring attention to issues like homelessness. 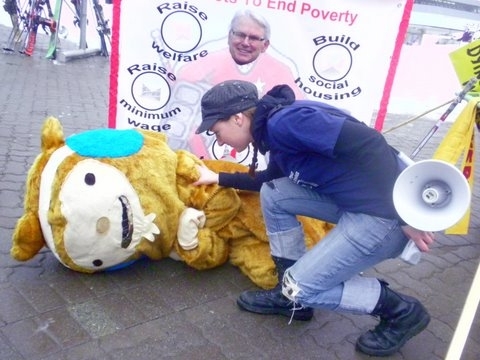 They say the rebranded Squatchi, who has been “liberated from the forces of corporate promotions,” is so named to reflect the importance of squatting to agitate for more affordable housing. Here’s a bigger article from the New York Daily News. 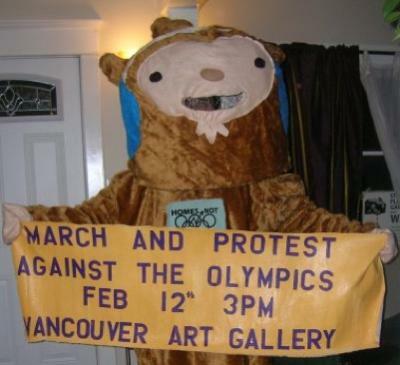 As Squatchi’s banner indicates, a big anti-Olympics protest is going down in Vancouver on Friday afternoon, just before the opening ceremonies. 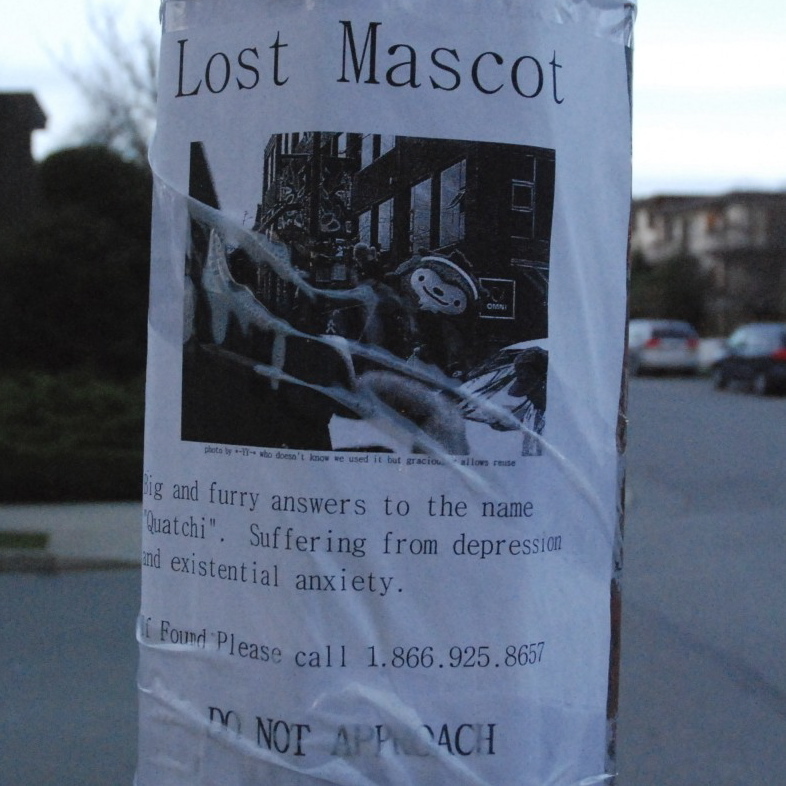 Let’s hope Squatchi doesn’t get his skull cracked by the Vancouver fuzz. 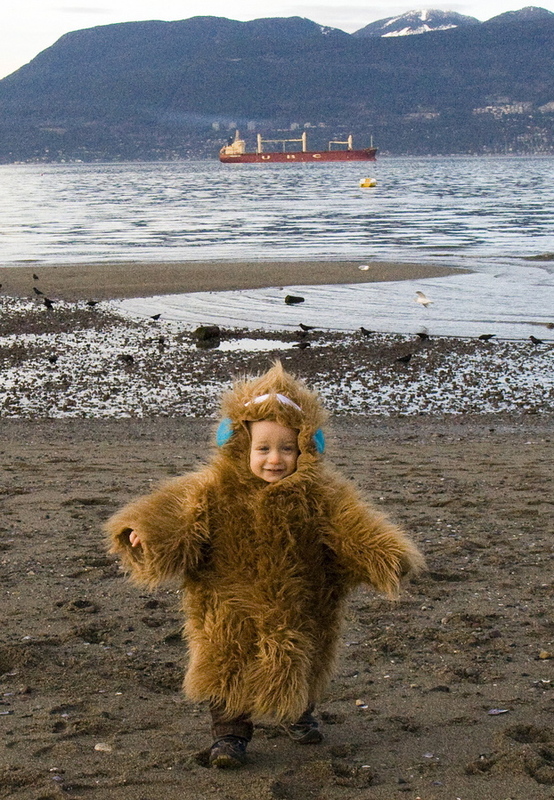 Here’s audio of Squatchi at a pre-Olympics press conference. He said that he was sick of the grotesque hype, militarization, and celebration of greed represented by the Olympics. He was comforted by activists from the Olympic Resistance Network, Whistler Watch, Streams of Justice, and Citywide Housing Coalition. 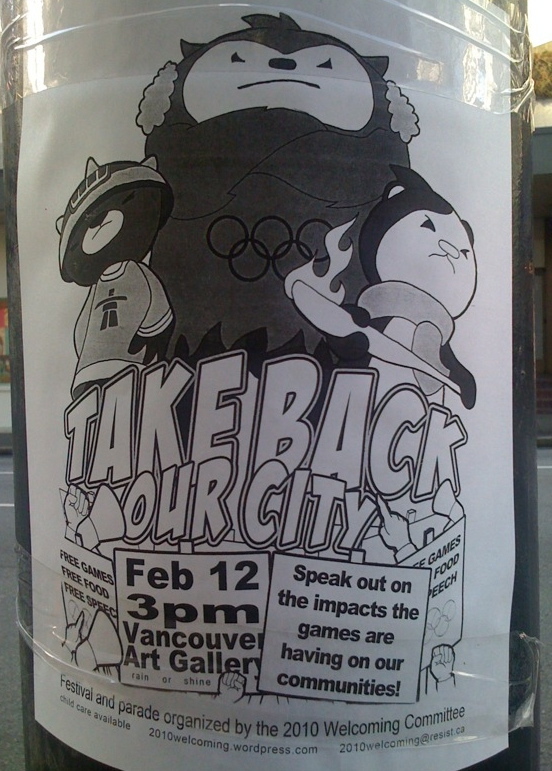 The Vancouver Poverty Olympics are brought to you by a group of concerned citizens and community groups who oppose the 2010 Winter Games because public dollars could be more justly spent on ending poverty and homelessness. 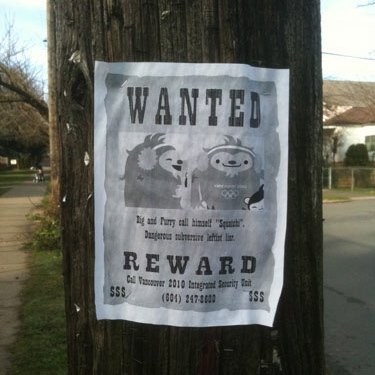 Their third annual event is this Sunday in Vancouver — read more here.